Super Savings Item! Free Shipping Included! 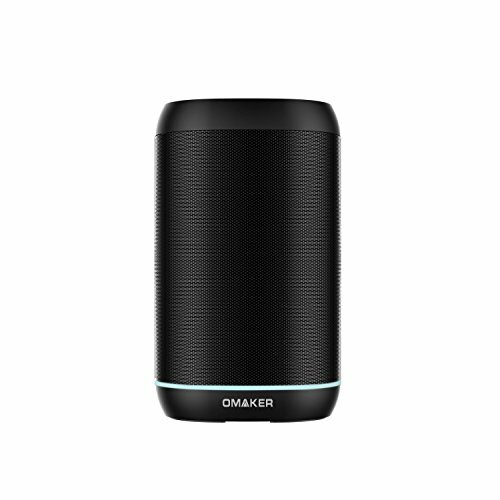 Save 39% on the Omaker WoW Handsfree Smart Speakers Wireless Multiroom Wifi Portable Bluetooth Speakers with Amazon Alexa, Black by Omaker at DJ Luu. MPN: FBA_4330369006. Hurry! Limited time offer. Offer valid only while supplies last. Certified Wi-Fi Speakers: Amazon certified hands-free Alexa speakers, play music, make calls, set timers and alarms, check traffic and weather, and more-instantly. #Enter code【OMAKEWOW】at checkout to get it for $69 offered by seller【Omaker Official】#. Never get fake products from other seller and never wait for BlakFriday. Multi-Room Music: Can be paired together and be free to switch from one to another or just let them play at the same time. To play music on your WoW devices in different rooms. filling your home with decent music. Wireless Bluetooth Speakers: Features to be connected via Wi-Fi and Bluetooth. Dual built-in high capacity batteries make sure Omaker WoW keep working up to 12 hours, wireless portable speakers help you enjoy music anywhere. 12 MONTHS Warranty: Streams high resolution audio (192khz/24bit; 44.1KHz/16bit) through dual 4W speakers, it process for crisp vocals and dynamic bass response, fill the room with 360° omnidirectional audio. If you have any questions about this product by Omaker, contact us by completing and submitting the form below. If you are looking for a specif part number, please include it with your message.